As a landlord, you have a responsibility for the safety of your tenants and your property. Record: a record of the annual gas safety check must be provided to your tenant within 28 days of the check being completed or to new tenants before they move in. You must keep copies of the gas safety record for two years. All installation, maintenance and safety checks need to be carried out by a Gas Safe registered engineer before any issue of gas safety certificates in Hampshire can be authorised. 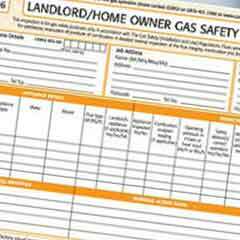 To find out more about gas safety certificates in Hampshire or any other area please check out this link at the Gas Safe Register website. Todds plumbing and heating Limited are fully qualified gas safe registered engineers who are capable to assess and test gas appliances and issue gas safety certificates in Hampshire.